“God doesn’t love me anymore”, came the broken voice over my phone. Once again hopes had been brutally dashed and this time it just seemed too hard to bear. My heart hurt so badly for her and in that moment, I wanted to agree. If God truly loved this child of his, he wouldn’t keep letting her down like this right? I mean this was the moment she had worked and labored towards for many years and now that moment was being snatched away once again. The phone call ended and my heart was so full. 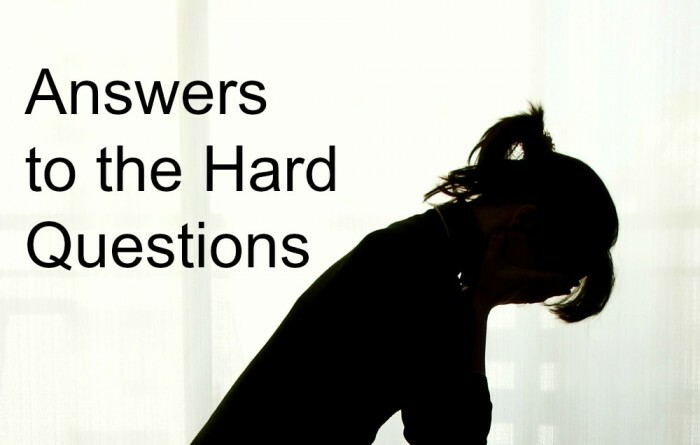 I wanted to rage and cry and pound the gates of heaven for an answer. Why God? Why does this keep happening? I know her well, she doesn’t deserve this, why are you withholding this desired blessing from her? Looking back I know I didn’t hear a physical voice, but as clearly as if my ears heard his voice my heart felt his gentle reply. It wasn’t an easy answer to hear, but it was the perfect answer. God doesn’t owe us anything. We aren’t promised a life of ease when we choose to follow him. In fact, we are promised quite the opposite. I know this to be true for myself as well. Things have happened in my life that are wrong, things that have made me doubt God’s love towards me, but I must remember this. It isn’t God that lets me down. It’s man. It isn’t God that disappoints. It’s man. It isn’t God that makes bad things happen. It’s the choice of men who like us were given free will. Ultimately God is the same, yesterday, today and forever. His love towards us never changes, and as long as we continue to call upon his name he will be our refuge in the middle of the storm. God didn’t promise to shield us from storms, but he offers peace in the middle of the storm. God didn’t promise to make us strong, but he carries us when we are weak. God didn’t promise there wouldn’t be trials, but he is our refuge in a time of need. My friends, when trials come (and if they haven’t, they will), instead of thinking “God doesn’t love me anymore”, we need to remember who God is and what he has already done for us. It is in that moment that we remember how much he always has loved us. How would you explain this to your friend? Romans 8:28 KJV: And we know that all things work together for good to them that love God, to them who are the called according to [his] purpose. While those truths are great to read, they are not always helpful or the encouragement they are meant to be. Sometimes we go through horrendous life circumstances that we wouldn’t even wish on our enemies and yes, sin and the fall of man is the root cause. However, when you are a woman desiring a child and doctors can’t explain why you are not conceiving because “everything looks fine on all ends” and you do all the “right” things, and yet another month and year or 5 go by with proof that conception did not take place, and you believe that your desire to be a mother is so strong that it must have been placed inside you by God who is gives us the desires of our hearts, it’s easy to feel like “God doesn’t Love Me”. And while it is important that these scriptures be spoken over a person going through such a trial, those may not bring comfort. However, it is always nice to know that you have a friend praying for you. And I’m sure that whatever your friend is going through, knowing that you are a friend willing to lay down your life for her is an encouragement as it’s clear you are praying for her. That’s what she needs. And hopefully in the midst of her dark time she will also hear His voice and it will bring her comfort. Lovely post! Nicely written. Thank you for linking up with us at #HomeMattersParty . We would love to have you again next week. I have no more strength. I have no more hope. God has abandoned me. He does not hear my prayers, or see my tears. Why should o remain faithful to a God who is not faithful to, and does not care for me? I’m sorry you are hurting… Words are often empty and those of an “internet stranger” often do little to soothe a wounded heart. I do apologize for the delay in responding, I don’t update here very often anymore as my boys need lots of mommy attention at this point in life. I do have a few things for you to ponder as the fires burn hot in your life and it feels as though all have left you. First of all, ask yourself WHO God is? Don’t look to the popular “pastors” of today, don’t look to your friends or family, go straight to the Bible. Gen 1:1 Elohim is used here meaning divinity. It is a plural form presumably relating to the Godhead or 3 in 1. Throughout old Testament scriptures we find other names for God: El Shaddai: God Almighty. El Olam: God Everlasting. El Roi: God of Seeing. El Elyon: God most High and in the New Testament we find Emanuel which means “God with Us”. When we realize WHO God is, compared to who we are, the picture becomes clearer. This little bit of time and space we occupy here is so trivial in light of the eternity our God is. We are in these mortal bodies like a seed that must die first in order to become a beautiful plant. The dying process isn’t easy, it hurts, it’s painful and it is everything our flesh shrinks from. But it is necessary that we die for our soul to bloom. Don’t judge God by who men are but by who HE is. i too have given up on God. 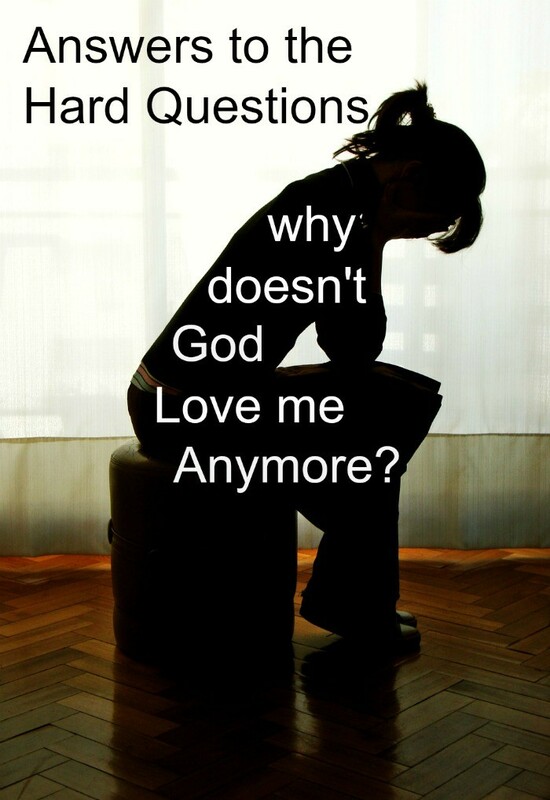 God gave up on me and I don’t find any of the above to be any evidence that God doesn’t love us. ” God didn’t promise to shield us from storms, but he offers peace in the middle of the storm.” A stuffed animal offers peace and you can talk to a stuffed animal and hold it and feel better. I might as well be talking to a stuffed bunny as to God, who not only doesn’t care for me but promises nothing but eternal suffering if I can’t stand the pain anymore and take my own life. So apparently God wants me suffering here daily and if I try to end that, he’ll up the suffering. And this is a “GOOD” God? I don’t believe in God, he never believed in me. I don’t understand why God is completely silent in my life when I need Him the most? I love Him beyond words and have dedicated my life to His calling for me. I would gladly give my life for Him. I believe His promises are true… how can they not be? The past 5 months have been the worst in my life and I need to hear from Him. I don’t pray for “what I want to happen” I pray that His will be done in my life. I pray for his guidance and understanding. I pray to simply hear from Him in some tangible form. I’m asking, I’m seeking, I’m just not knocking but banging on the door. If He loves me like He promises in His word… how can He ignore my heartfelt pleas, how can He leave me in a place of utter despair and not wanting to live? I feel like Elijah underneath the Juniper tree… except no angel is coming to save me? I don’t know what to do or why I feel abandoned by my loving Father? Hi Mark, yesterday we were flaying home from the west coast. High in the air, the sun was so bright we couldn’t even look out the window as it was nearly blinding. As we came in for the landing we dropped through thick blankets of clouds. When we finally broke through the clouds it was dark and stormy. The sun hadn’t went away though, the sun was still there, it was just the storms of this earth that kept us from seeing it. Just the same are the spiritual storms we go through. God never leaves us, he’s always there loving us unconditionally, even in our broken despair. Storms are often loud and violent, and like Peter of old, they are all we can see or hear. Of course, that doesn’t change the fact that God’s still there, it’s simply proof of our humane frailty and inability to see beyond the storm. Sometimes we have to be like my little 3 yr old was yesterday and just trust the sun is still there only because “mommy said so”. And Elijah… Oh, many times we can relate well to him. But tell me this? Did Elijah KNOW an angel was coming to save him? Of course not!